Hahahaha.. same manure, different decade.. The crisis, whatever they have manufactured, is just repeated blaming different trends in the weather patterns to the current trend. In 4 years we will hear from IPCC that we are headed towards a drastic cooling caused by global warming! 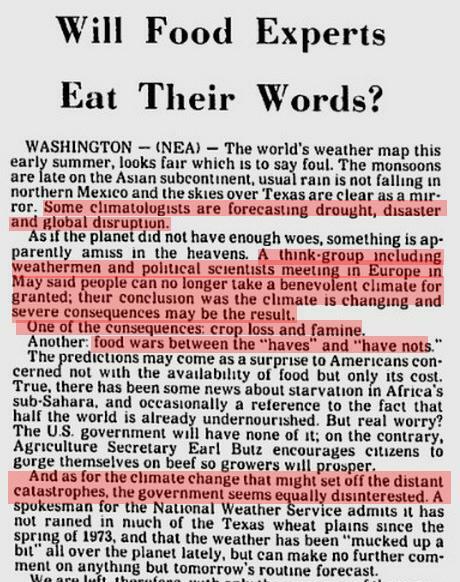 Forty years later they will be saying the same things and claiming there was no consensus about a warming world!